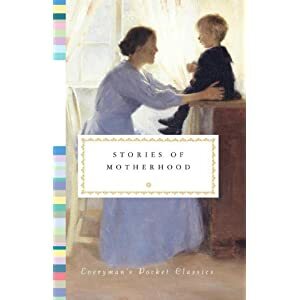 Stories of Motherhood, is a wonderful collection of short stories celebrating all aspects of motherhood, it has you nodding in recognition, crying in solidarity , smiling in shared knowing. Published in time for Mother’s Day on 18 March, this beautifully packaged anthology spans more than a century of diverse short stories. Authors include Barbara Kingsolver, Alice Munro, Willa Cather and Colm Toibin. I must admit I cried buckets and was left quite enmotional by these stories and I think for yourself or if you are lucky enough to have one, your own lovely mum, this would be a wonderful gift. The stories and the physical book are of such high quality anyone would be delighted with this. The books are sewn, clothbound hardbacks with silk ribbon markers and headbands and are printed on a fine cream wove, acid-free paper. They are lovely keepsakes. I am only keeping this book comp open till next Tuesay 13th March in the hope we can get the book out in time for mother’s day. To enter just tell me just one word in comments that you think of when you think of the word Mother. Thats’s it. Simples. Previous Post Eco force: simple, green solutions.